Fudgy, rich, delicious chocolate brownies are hard to resist. This recipe is our go-to for baking perfect brownies every single time. Preheat oven to 180 Celsius (350 Fahrenheit). In a large bowl mix melted butter, oil and both sugars until combined. Add eggs, vanilla essence and salt and mix until all ingredients are fully mixed through. Sift cocoa and flour in to bowl and add to the other ingredients, being careful to not over mix. Add the dark chocolate chips and fold through. Add the brownie mix to a 7 x 11 inch pan lined with baking paper. Bake in oven for approximately 20-25 minutes. Remove from oven and allow to cook. Cut in to squares and serve and enjoy! ELE tip – these brownies can be made in advance and frozen, ready to defrost whenever you need a sweet treat. Looks yum. I am going to try out this recipe. 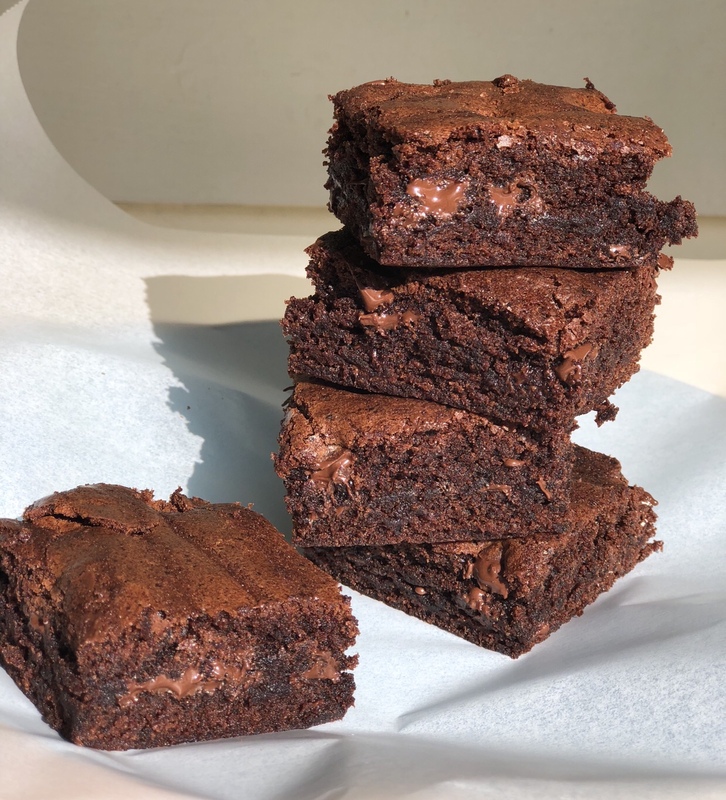 I have made a lot of brownies in my time…but I am going to try your recipe because the photos show a very perfect result. You have a lovely website. I look forward to exploring your posts. Thank you – Good luck I hope you enjoy them! Those baked cakes look great!